Flying is a love affair. One that infiltrates just about every facet of a persons life. Generally, pilots know they want to be pilots pretty early on in life. My story is unique in that it took me quite some time to connect the dots, gather the appropriate resources and fully commit to getting my wings. 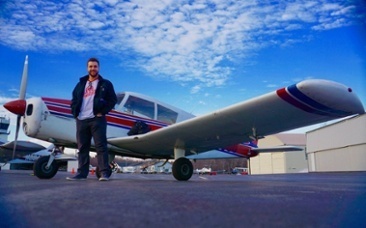 This blog post will bring you through my meandering experience and provide insight as to what efforts from a flight school owners perspective work and which ones do not when it comes to student pilot recruiting. Remember how I said pilots know pretty early on what their path will be, well... I was no different. I was that kid growing up in central Massachusetts that went to more air shows than football games. Its true, I remember vividly seeing the F-117 Nighthawk for the first (and only) time at the Great New England Air Show when I was five years old. From there my love for aviation flourished for years, then some time around college it took a back seat. I do not know why or exactly when, but aviation in way fell off my radar. Fast foMe in front of the PIper Cherokee I learned how to fly inrward to the summer of 2014 and I was training in Brazilian Jui Jitsu at a local dojo and I met an IFR rated pilot who got the aviation juices flowing once again with vengeance. From there, I knew I had to find the nearest and most well respected flight school in New England....but how? The internet of course. In today's world everyone researches online before they make any sort of purchase, that is where today's buyer lives. So through my research I found about a dozen flight schools within my area. One by one I started calling each school and just started asking questions. How long will a private ticket take? How much will it cost? Can I fly in the New England winter? From what I could tell, most schools depended merely on the discovery flight to bring in students. This left me wondering, what else can flight schools do to boost enrollment? From my perspective, I believe the answer is simple....Engage early and often with education. Pilots and prospective pilots alike are excellent learners, we perpetually yearn for new knowledge and challenges. GIVE IT TO US!!! 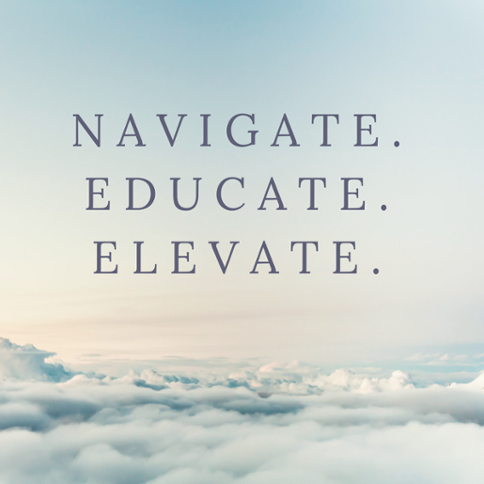 I think providing education to the point where a new student comes into your school and already has the fundamentals of flight nailed down is a huge advantage. Leading with education empowers and excites the prospective student. This in turn chas the potential to shorten the time it takes for a student to enroll into your school. Right now, the national average is 6-12 months for a student to enroll, by focusing on education there is no reason why that number can not be halved. Sponsoring safety expos and spending time at local general aviation industry events are a decent method for discovery but these efforts simply do not scale because these events come to a physical end eventually. The answer, I believe is to change from the ground up how flight schools market themselves. Their websites need to be turned from late 1990's relics to a 2017 magnet of a website. The buyers journey has changed for flight students, its high time flight schools pivot to meet this challenge. If they do not, it spells an uncertain future for the general aviation's own engine, the local flight school.